D.C. Mayor Adrian Fenty looks pretty hot, if we don't say so ourselves. Hizzoner was one of 4,700 participants in the fourth annual Nation's Triathlon Sunday. A bike accident in August doesn't seem to have slowed him down from making the 1.5K swim in the Potomac River, the 40K bike ride through downtown D.C., or the 10K run around the monuments. He was even sporting a shirt from favorite store, Fleet Feet. But at least it was harder to see his family store's logo from the position of the zipper. 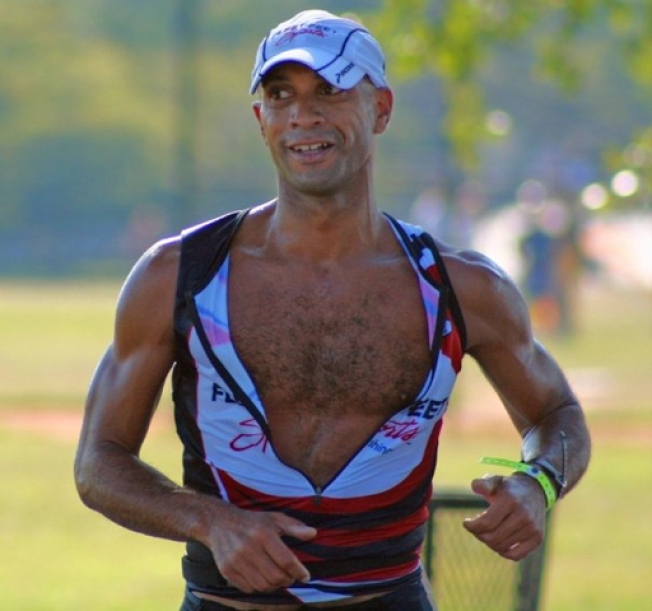 Shirt label controversy or no, Fenty told WTOP that the triathlon puts him in good enough shape to face WTOP's Mark Plotkin in a tennis match. It seems Plotkin thinks the mayor's tennis skills are "miserable" and had challenged him to a game. "I told Plotkin if he raced in the Nation's Triathlon, then I would play him in tennis," Fenty said. But the political analyst was a no-show. Speaking of athletic prowess, Fenty came in 62nd place finishing the event in 2 hours, 21 minutes and 18 seconds. But that's not his personal best, one of the triathlon's organizers told NBCWashington. Fenty previously managed to stop the clock at 2 hours and 17 minutes. Well, maybe next year, Mr. Mayor.